House warming? Office get-together? Birthday party? You'll be the top of the heap when you send this delicious Pumpkin Cake to the crew - no matter the occasion. 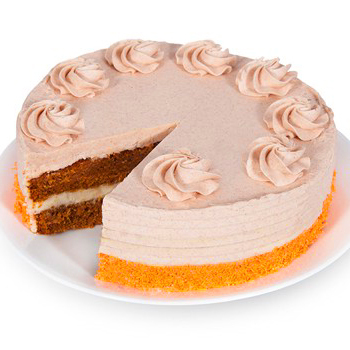 Two layers of moist, dense pumpkin spice cake are frosted with homemade cinnamon buttercream. Who can resist Simply the Best Pumpkin Cake? PLEASE BE ADVISED that in order to guarantee freshness, delivery of this item is not recommended on Mondays. Please contact customer service if you have further questions.